Tell John Yoo That Torture Is A Crime! This song was a 2009 lyrical update of the Civil Rights era marching and sitting-in song, “We Shall Not Be Moved”. 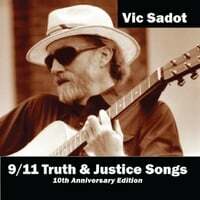 The lyrical creation was done by Vic Sadot for the torture accountability movement in Berkeley where Yoo is a Constitutional Law professor at UC Berkeley. Yoo… Read More Tell John Yoo That Torture Is A Crime!